Javeria Farooqui, M.D. specializes in Family Medicine. Dr. Farooqui obtained her Bachelor of Medicine and Surgery at Dow University of Health Sciences in Karachi, Pakistan. She then received her Doctor of Medicine (MD) at Michigan State University. As a family doctor in Houston , She is compassionate of providing quality care to all age groups.She has been working as Family medicine physician for 11 years. Her medical care philosophy is ” Educate patient so they can participate in their own healthcare. Dr. Farooqui has her American Board of Family Medicine certification and has memberships in the American Academy of Family Practice, American Medical Association and Texas Medical Association. When she is not providing quality care as a family doctor in Cypress TX, her other interests include reading, gardening, and spending time with her family. Javeria Farooqui, M.D. specializes in Family Medicine. She obtained her Bachelor of Medicine and Surgery at Dow University of Health Sciences in Karachi, Pakistan. 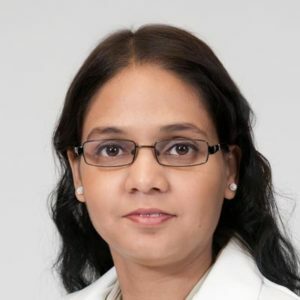 She then received her Doctor of Medicine (MD) at Michigan State University.As a family doctor in Cypress TX, Dr. Farooqui has her American Board of Family Medicine certification and has memberships in the American Academy of Family Practice, American Medical Association and Texas Medical Association. A month ago I got sick not knowing how bad and serious it was!! went to see Doctor Farooqui and as usual she was kind and caring and diagnosed my illness quickly before getting worse and hospitalized, Xray on the spot & Blood work done and she followed with results the next day. She asked me to Call her with updates or any questions in a week. She returned my calls and answered my questions and let me know I was getting better. She is a true professional and a gifted doctor. I highly highly recommend her to all my friend and family. Dr. Farooqui is a kind, caring professional. She is always willing to listen and help create solutions. She truly cares about her patients and is always willing to help. My daughter and I will never see anyone else. Every time I visit her office there is almost little to no wait time and I’m always greeted with a smile. I will continue to refer all my friends and family.